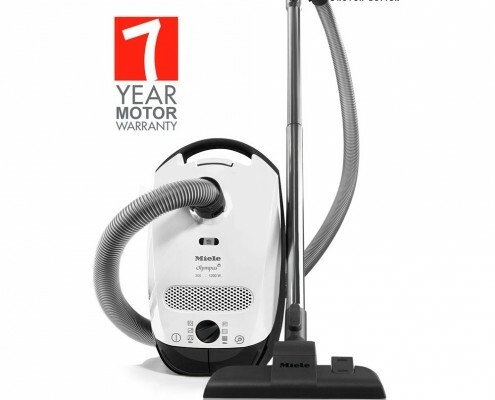 Why Buy Miele Vacuum Cleaners? As an allergy or asthma sufferer, you know how important it is to frequently vacuum your carpets, floors, drapes and furniture, as it helps to limit your exposure to the allergens that trigger your condition. If you aren’t using a Miele vacuum cleaner, chances are your vacuum may be aggravating rather than helping your allergies! Miele has been manufacturing floor care products for over 80 years and they are famous for making superior, long lasting products. German-made Miele vacuum cleaners are extremely well-liked and highly rated by all consumers, especially those who deal with allergies and asthma on a daily basis, because they know a high-quality filtration system is key in the management of their symptoms. 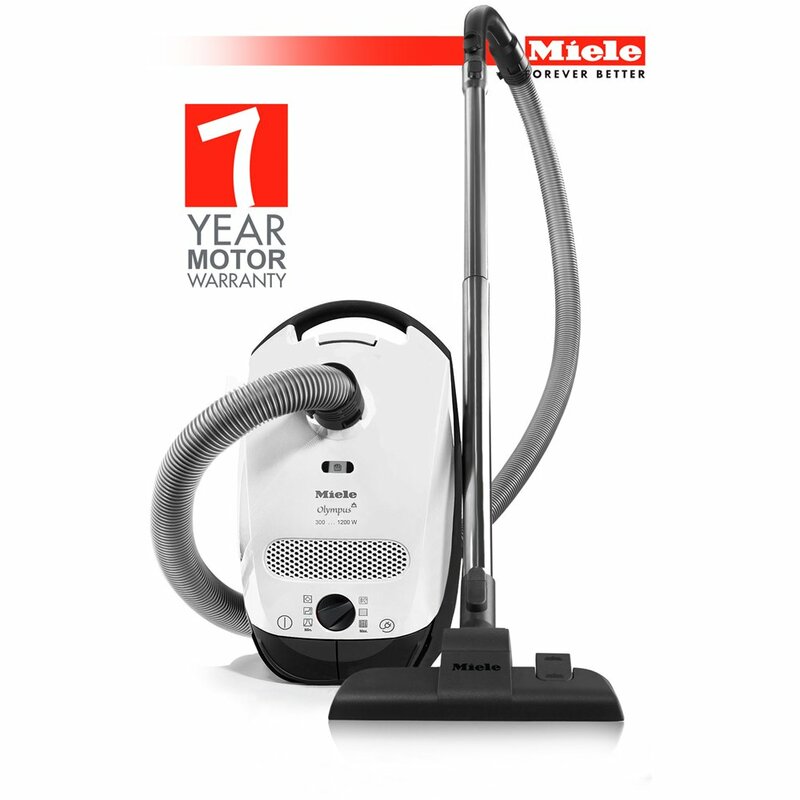 Most Miele models come standard with HEPA filtration – a feature that removes pollen, ragweed, pet dander, dust mite feces and more from the air. HEPA filtration in a Miele vacuum cleaner removes 99.9% of all particles with a diameter of 0.3 microns or more and largely prevents asthma and allergy triggers being returned to the air via the vacuum’s exhaust. This level of filtration is imperative for folks suffering from allergies or asthma. In addition, Miele vacuums are designed with “sealed system construction” which ensures that all air entering the vacuum passes through the filters before it is exhausted. This insures that unfiltered air does not get back into the environment. 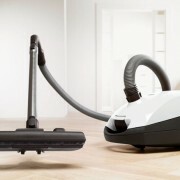 Vacuum cleaners without a sealed system often allow dirty air to bypass the filters or simply leak out of the casing back into the just-vacuumed surroundings. Sealed system construction also prevents dust from escaping from other places on the vacuum such as body seams. In addition to HEPA filtration and sealed system construction, Miele vacuum cleaners use high efficiency vacuum bags constructed with electro-statically charged material that help trap dust. These bags, according to Miele, remove more unwanted particles and allergens than conventional paper bags and also provide better airflow. All these design features work together to provide odorless exhaust and leave the air fresh and allergen-free. 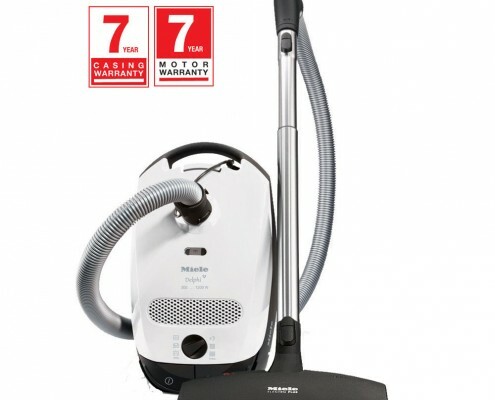 Miele vacuum cleaners also offer great maneuverability for ease of use – they are easy to turn, push and pull. They provide powerful suction and the ability to control the level of suction required for smooth flooring, low pile carpet, deep pile carpet and curtains. The motor housing is lined with noise-dampening material to ensure fairly quiet operation. 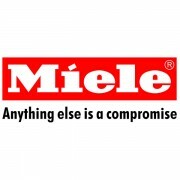 Miele products are engineered to last. When you purchase a Miele vacuum cleaner, you can truly consider the expenditure an investment in your allergy treatment plan as it was designed to provide you with at least 1000 hours of use or 20 years of service. 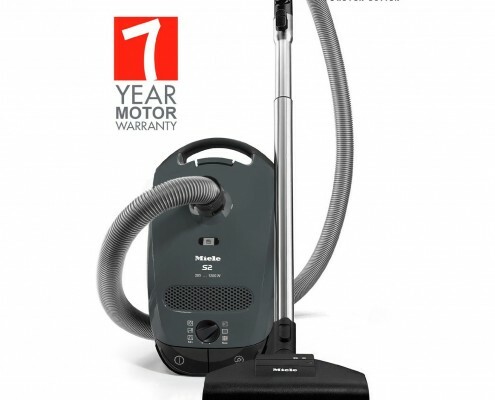 Each vacuum carries a 7-year warranty on the motor and 1-year warranty on parts and labor. 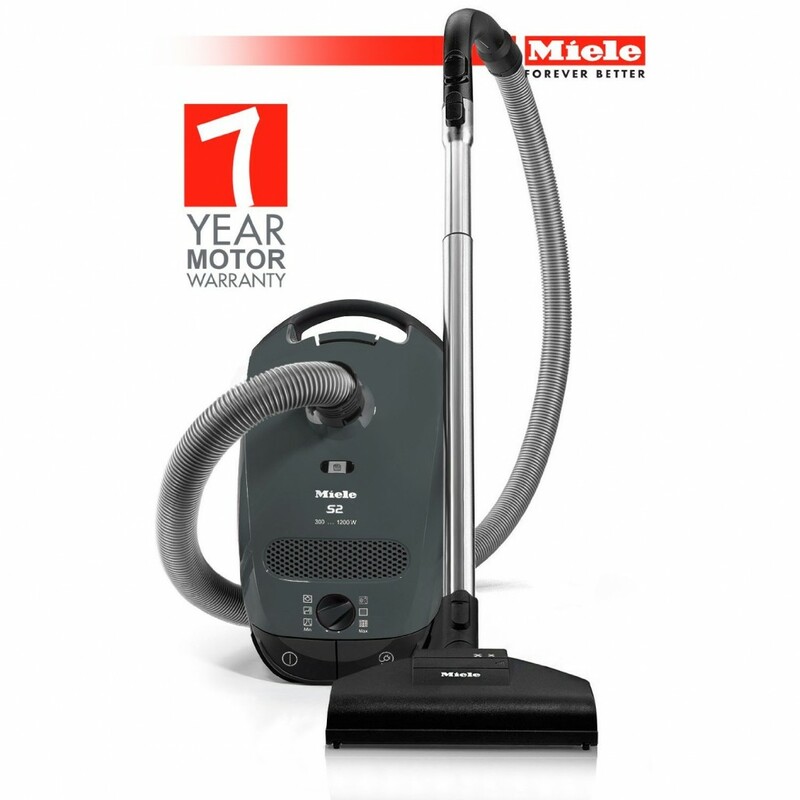 Whether you prefer an upright, canister, or stick style unit, Miele has a large selection of slick, streamlined models to choose from so you can find the exact vacuum cleaner to meet your needs. Insist on a quality vacuum that will do the job to help improve the quality of your life. Choose a Miele for your next vacuum cleaner. 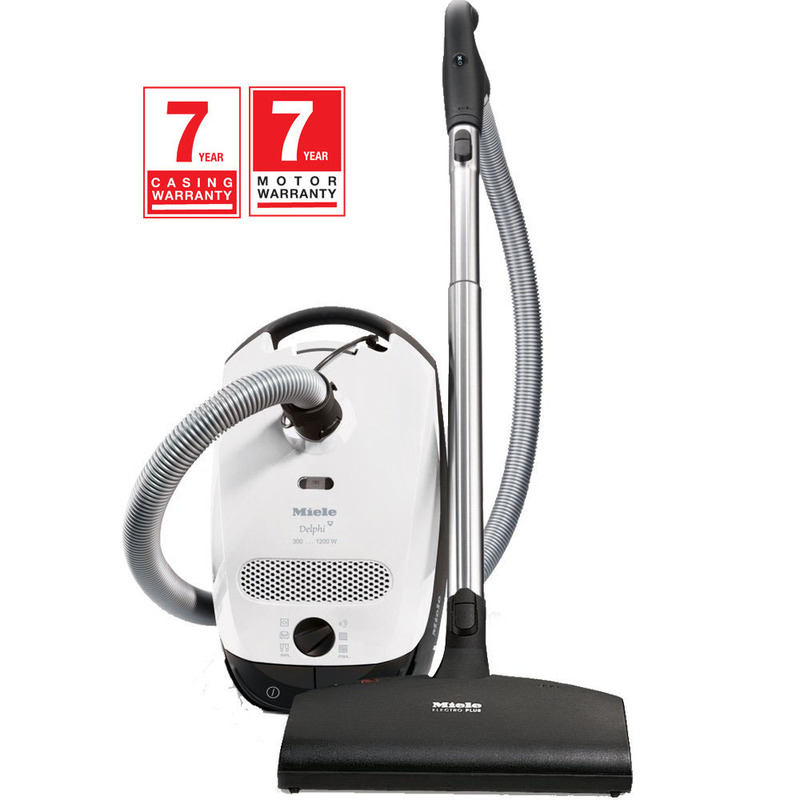 Suction Control via rotary dial with 6 bariable power setting – 1200-watt, high-output Miele-made vortex motor system. Suction control via rotary dial with 6 variable power settings – 1200-watt, high-output Miele-made Vortex Motor System. Miele appliances are engineered to provide superior results coupled with ease of use and flexibility. A perfect marriage of form and function, the legendary “Miele Difference” is built-in to each and every sleek, European-designed frame.